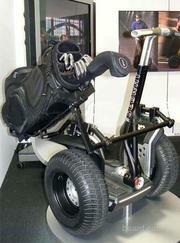 Listed below are Bikes & equipment items for you to car boot sale online here that you will find available in Halifax. If you cannot find the Bikes & equipment items that you are looking for in Halifax you can add your wanted item to let sellers contact you if they have any Bikes & equipment items available for you. You can keep your contact information confidential. Enter only an email address in your car boot sale ad to receive offers into your account on our system. We will remind you automatically when new offers arrive for you. To offer your items for sale on this online car boot sale in Halifax simply click Post free ads for Bikes & equipment link below or the button Post free ad in top right corner of this page. It is fast, easy and free to post an ad in 2lazy2boot. It will take you just few minutes to have the ad seen on our listings. You can then edit your ads any time by clicking “Member area" button on top right corner of this page. 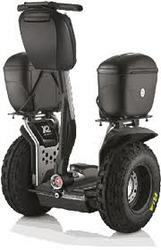 WE SELL BRAND NEW SEGWAYS AND SECOND HAND SEGWAYS AT AFFORDABLE LISTING AND PRICE (Bargain): Segway i2 Cargo....$2850 Segway x2......$3000 Segway X2 Golf...$3500 Segway i2 Commuter....$2650 Segway i2 Personal Transporter...$2600 Red Segway I2 New with Custom Red Handle.......$3000 Segway XT Cross-Terrain Transporter. We sell all models of 2012, 2013 and 2014 Specialized, Trek, Cannondale, Gary Fisher, Klein, GT, Scott, Cervélo, Giant, Santa Cruz, Rocky Mountain, Kona, Whyte, Ellsworth, Jamis, Litespeed, De Rosa, Pinarello, Colnalgo, Look, Time, Yeti, Felt, Focus, Fuji, Bianchi and Marin Bikes. Brand New Original Bicycles. Contact Information Sales Enquiry: Hours: 8:00 a.m. - Midnight EST. Open 7 Days a Week (CLOSED Thanksgiving Day and Christmas Day) Name: Allan McCorkle Email: info@buyabikeave.co.uk Telephone: +44 (0) 1224 459298 +44 (0) 7024 017203 +1 (415) 632-3122 2013 Specialized Mountain Bikes: 2013 SPECIALIZED S-WORKS EPIC CARBON 29 XTR $7, 000 2013 SPECIALIZED S-WORKS EPIC CARBON 29 SRAM $7, 000 2013 SPECIALIZED EPIC MARATHON CARBON 29 $4, 200 2013 SPECIALIZED EPIC EXPERT CARBON EVO R 29 $3, 200 2013 SPECIALIZED EPIC EXPERT CARBON 29 $3, 000 2013 SPECIALIZED S-WORKS EPIC CARBON 29 FRAMESET $2, 000 2013 SPECIALIZED S-WORKS STUMPJUMPER FSR CARBON 29 $6, 500 2013 SPECIALIZED S-WORKS STUMPJUMPER FSR CARBON $6, 500 2013 SPECIALIZED STUMPJUMPER FSR EXPERT EVO 29 $3, 400 2013 SPECIALIZED STUMPJUMPER FSR EXPERT CARBON EVO $3, 400 2013 SPECIALIZED STUMPJUMPER FSR EXPERT CARBON 29 $3, 200 2013 SPECIALIZED STUMPJUMPER FSR EXPERT CARBON $3, 200 2013 SPECIALIZED S-WORKS STUMPJUMPER CARBON 29 XTR $4, 500 2013 SPECIALIZED S-WORKS STUMPJUMPER CARBON 29 SRAM $4, 500 2013 SPECIALIZED S-WORKS FATE CARBON 29 $4, 500 2013 SPECIALIZED CAMBER PRO CARBON 29 $5, 000 2013 SPECIALIZED CAMBER EXPERT CARBON 29 $2, 500 2013 SPECIALIZED CAMBER EXPERT CARBON EVO R 29 $2, 500 2013 SPECIALIZED S-WORKS ENDURO CARBON $6, 000 2013 SPECIALIZED ENDURO EXPERT EVO $2, 600 2013 SPECIALIZED ENDURO EXPERT CARBON $3, 600 2013 SPECIALIZED S-WORKS DEMO 8 CARBON TEAM REPLICA $7, 000 2013 SPECIALIZED DEMO 8 I CARBON $3, 600 2013 SPECIALIZED DEMO 8 II $3, 600 2013 Specialized Road Bikes: 2013 SPECIALIZED S-WORKS TARMAC SL4 DI2 $9, 000 2013 SPECIALIZED S-WORKS TARMAC SL4 RED $5, 000 2013 SPECIALIZED TARMAC SL4 PRO MID-COMPACT $3, 000 2013 SPECIALIZED TARMAC SL4 EXPERT UI2 MID-COMPACT $2, 100 2013 SPECIALIZED S-WORKS TARMAC SL4 BLACK LTD $6, 000 2013 SPECIALIZED S-WORKS VENGE SUPER RECORD EPS LTD $11, 000 2013 SPECIALIZED S-WORKS VENGE DI2 $9, 000 2013 SPECIALIZED S-WORKS VENGE DURA-ACE $5, 750 2013 SPECIALIZED S-WORKS VENGE RED $5, 250 2013 SPECIALIZED VENGE PRO FORCE $2, 800 2013 SPECIALIZED VENGE EXPERT UI2 $2, 500 2013 SPECIALIZED S-WORKS AMIRA SL4 COMPACT $5, 500 2013 SPECIALIZED SHIV PRO UI2 MID-COMPACT $3, 600 2013 SPECIALIZED S-WORKS SHIV MODULE $2, 800 2013 SPECIALIZED S-WORKS SHIV TT MODULE $3, 100 2013 SPECIALIZED S-WORKS ROUBAIX SL4 DI2 COMPACT $9, 000 2013 SPECIALIZED S-WORKS ROUBAIX SL4 RED COMPACT $5, 000 2013 SPECIALIZED ROUBAIX SL4 PRO COMPACT $3, 000 2013 SPECIALIZED ROUBAIX SL4 EXPERT UI2 COMPACT $2, 100 2013 SPECIALIZED S-WORKS RUBY DA COMPACT $5, 500 2013 SPECIALIZED RUBY PRO COMPACT $3, 000 2013 SPECIALIZED RUBY EXPERT UI2 COMPACT $2, 100 2013 SPECIALIZED S-WORKS ALLEZ LTD $4, 000 2013 Trek Mountain Bikes: 2013 Trek Superfly 100 Pro SL $6, 000 2013 Trek Superfly 100 Elite SL $2, 500 2013 Trek Superfly Pro SL $5, 300 2013 Trek Superfly Elite SL $2, 000 2013 Trek Fuel EX 9. We have all Segway model We supply superior quality products all products strictly follow the standards of CE, FCC and RoHS, and are carefully inspected by a responsible QA team before packaging. BRAND NEW Segway PT - 0 Miles - Black with full new one year warranty - 2 keys, alarm, odometer, mph/kph gauge - FREE kickstand included. Well here you go. Good luck with your on line car boot sale in Halifax. We hope you have some success and find buyers/sellers that you are looking for in Bikes & equipment . Don’ t forget to comment any successes in selling your Bikes & equipment items in Halifax to our valuation window and report forum! We are sure you will find many people in Halifax looking for your Bikes & equipment. Halifax car boot sale. Bikes & equipment for sale ads on online car boot sale in Halifax, second hand Bikes & equipment for sale in Halifax, Bikes & equipment ads for free in Halifax, 2lazy2boot - Halifax car boot fairs.